This is a polished version of the text I sent to everyone who was interested. I have received some wonderful feedback and criticism, which is shifting my views on the subject; this, however, is where I stand at the moment. It has been noted by a particularly wise and insightful thinker that this is more an answer to the problem of IMPERFECTION, rather than an answer to the problem of EVIL- it addresses why God would allow there to be pain in life, rather than why God would allow individuals to behave evilly. This is true, and so far as it is true my title is misleading; but, as it seems that “Evil” generally connotes not only personal evil but social and political evils, and in general all things of this universe which cause suffering, I have faith that the general public will sufficiently understand and agree with my points and naming. The Problem of Evil says that God cannot exist because there is evil in the world, and an all-powerful, all-benevolent god would not allow evil to exist in a world of his creation. Therefore God cannot exist. It has historically been thought of as the most powerful argument against the existence of a god. Essentially, if God is perfect, why did he not create the universe perfect? At one level, he did. The Laws of Nature, the basic principles which move the universe, are unbreakable. Everything that exists is subject to them, and nothing is outside their dominion. That sounds fully consistent to me, and if perfection were to be defined merely as consistency in following the rules, then this universe would indeed be perfect. But we humans, possessing a moral sense, see clear imperfection in the world, in that those perfect laws result in a cracked and brutal universe where poverty exists beside affluence, war beside peace, chaos beside order, evil beside good. If one were to analyze solely by material mechanistic values, the world would be perfectly run; but as we humans invariably analyze by sentimental values, and see mortality as an imperfection, we clearly perceive a higher standard than simple mechanism. Why, then, would an all-powerful, all-loving god create a universe who inhabitants perceived it to be painful and imperfect? That little slice of heaven within us which sees the evil alloyed with good and strives to right it drives us to action. Driving us to action, it impels us to improve, to make cracked entities less cracked, more perfect. And thus you have the various drives for personal improvement and social improvement that have characterized human civilization over the ages, at times becoming formalized into religious, ethical, and philosophical systems. Are these at times based less upon a will to improve and more upon sheer practicality? Certainly. We do live in the physical universe. But practicality does not necessarily eradicate all possible sentimentality. So seeing imperfection, people strive to improve. They work on their various faculties, improve their moral sense, strive for greater harmony, seek higher knowledge and deeper happiness, drive to create, drive to preserve, and drive to conquer the eternal questions of mankind. In short, they strive to become more like the omnipotent and benevolent god who created them, though not necessarily consciously. But by striving to become the best possible versions of themselves, they attain higher and higher levels of consciousness and self-realization, clear marks of a greater understanding and higher quality of life. It should be noted that none of these accomplishments are eternal. No one can solve a single problem Mankind faces forever. Everyone can alleviate Mankind’s problems some small amount; everyone can make advances in their personal life, or in the lives of others. But those advances either die with them, or die with the wear of time. Those which do not die and instead contribute to something truly progressive (such as advances in governance or technology) are invariably two-sided swords, with both good and evil characteristics. The person does not liberate mankind by becoming the best possible version of themself. But they do free themselves- they do attain a higher understanding of life- they do live life to the fullest- they do die with fewer regrets- and, it would seem, they do use their god-given gifts upon this earth, and become individuals with higher chances of entering the kingdom of heaven, for they have known what life is about. Therefore, I’d say the purpose of the world’s imperfection is simple- it creates a necessity for improvement, which drives individuals to become the best possible versions of themselves, which is ultimately what god wants them to become. It is not pretty- the history of the world is steeped in blood and tears- but there has forever been opportunity for individuals to improve themselves, help others, and attain higher understandings. Just as loving parents employ both discipline and rewards to help their children grow, so a loving god provides challenges as opportunities for his children to flourish. It is very much like the Forbidden Fruit- before it had been consumed, humans lived in a perfect world, where they were nothing more than mindless tools content to live as they were programmed. They were like the cells of the body, each with a specific purpose but no will of its own. When the Forbidden Fruit was consumed, Adam and Eve learned of evil, and evil entered their lives, with all its pain and sorrow; but so, too, came the possibility of knowledge, of improvement, of redemption. 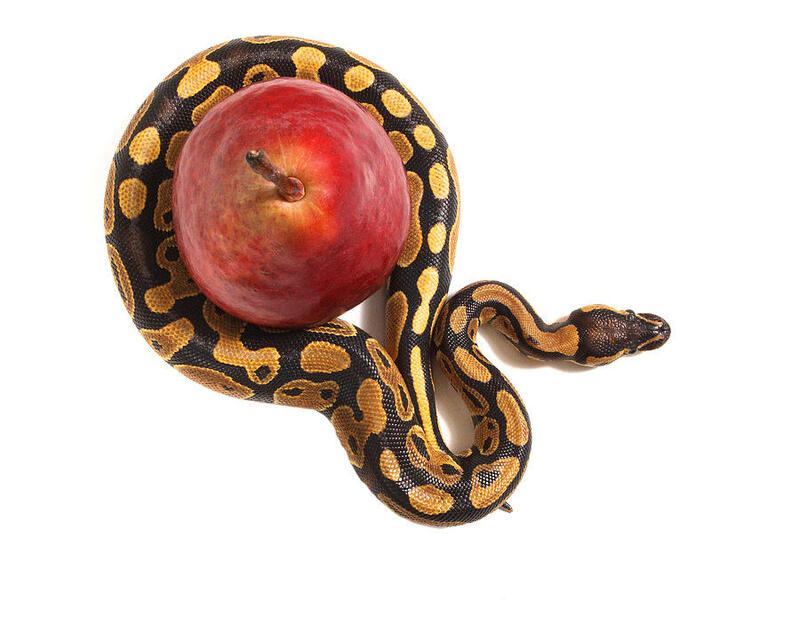 The serpent was right- in consuming the Forbidden Fruit, and attaining the full humanity of those who live in a world alloyed with good and evil, Adam and Eve entered the race to become the best possible versions of themselves, and therefore became like God. tl dr, The universe is imperfect and evil exists to present a necessity for improvement, which, as humans strive to fulfill, causes them to become the best possible versions of themselves, which is what God wants us to become in this life.